Aaron Sorkin. Aaron Sorkin. Aaron Sorkin. Aaron Sorkin. How do you make an engaging, emotional, interesting, funny, heartbreaking and educational film that basically consists of three people talking for two hours? Easy. There are other reasons it works, namely Michael Fassbender, Jeff Daniels, Kate Winslet, Seth Rogen and Michael Stuhlbarg (who is just criminally underused by Hollywood). After all, you need really good actors to pull off really good words. And they do. 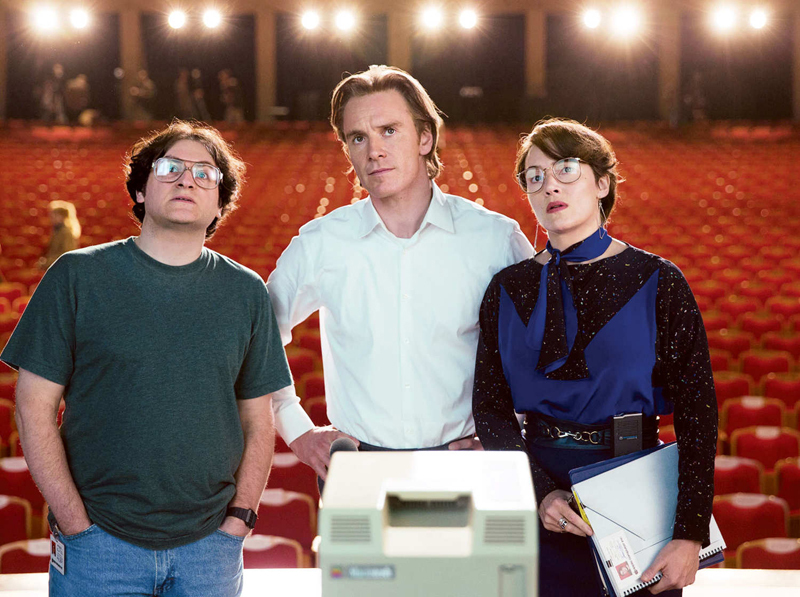 Fassbender’s Jobs has exceedingly intricate psychological mechanics and never ends up playing the melodrama. Winslet’s accent strays a bit, and her role, while essential, is pretty thankless, but she’s genuine in spite of it. Daniels, Rogen and Stuhlbarg act as a kind of Greek chorus…giving us a view of what Job’s darker relational reality was from the bleacher seats. Danny Boyle’s direction (top-notch as always) never allows it to drag, even for a second. And while some of the cinematic tricks of his trade come off as a tad over-the-top, by film’s end, you’re completely invested and engaged, and all is forgiven. A shout out to editor Elliot Graham who keeps this juggernaut moving. And finally a nod to Daniel Pemberton’s lovely score, which is certainly noticeable, but only in hindsight…accentuating emotion, instead of infusing it…and vaguely reminiscent of Hans Zimmer’s “Interstellar” score (or whoever actually wrote it).